Over the course of the 20th century, the city has§changed almost beyond recognition: from a dense,§central city into a sprawling urban realm§restructured by escalating processes of§delocalization, globalization, simulation,§diversification, segregation, . In fact, the city has§changed so much that literary scholars seem at a loss§to make sense of the omnipresent, but atypical urban§images in postmodern fiction. Paradoxically, then, a§once prolific literary category - the urban novel -§is falling into disuse precisely when the process of§urbanization is climaxing. 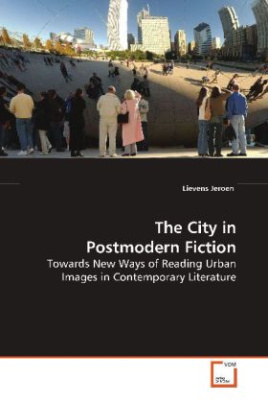 This book aims to§reconcile literary studies with the postmodern city§by providing new and updated strategies for reading§urban images. Literary studies are brought into close§dialogue with the richly interdisciplinary field of§contemporary urban studies. Also, the spatial§dimension of the "urban novel" is deepened by§politically more savvy theories of space. This§rejuvenated notion of the city in fiction is then§applied to a corpus of "new narrative" novels,§emerging largely from New York''s redeveloping§downtown area in the 1980s and 90s. This study§should be of interest to all students of the city§image in fiction.